John Jones is a native Charlottean who earned a Bachelor of Science degree in Business Administration, with a concentration in real estate and commercial banking, at East Carolina University. 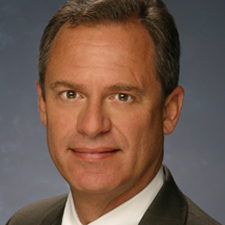 Jones joined Gibson Smith Realty Company in 1981 and currently serves as Partner and Vice President for the firm. During more than three decades with Gibson Smith Realty, Jones has assembled land tracts for retail and mixed-use development, sold investment property and compiled a large portfolio of retail tenants in the Charlotte region. In 2007, the Charlotte Region Commercial Board of REALTORS awarded Jones for having the third-highest volume of commercial land sales in the Charlotte region. Jones is an active member of the Charlotte Region Commercial Board of REALTORS® (CRCBR). For more than 10 years, he has been a member of the Multi-Million Dollar Club, sponsored by the CRCBR, which annually recognizes the top producing commercial real estate brokers. He has previously served as a member of the Charlotte Mecklenburg Planning Commission, Vice Chair of the Charlotte Mecklenburg Planning Committee, Director of the Commercial Listing Exchange (CLE), Chair of the CLE’s Legislative Committee, and member of the Metropolitan Planning Organization. In addition to his involvement in professional organizations, Jones also is involved in a number of community and service organizations. He has served as President of the Somerset Shores Home Owners Association, leader for the North Mecklenburg Prison Ministry and leader for YMCA Uptown Bible Study for many years.